2-5 mm in size. Made from chopped hazelnuts. 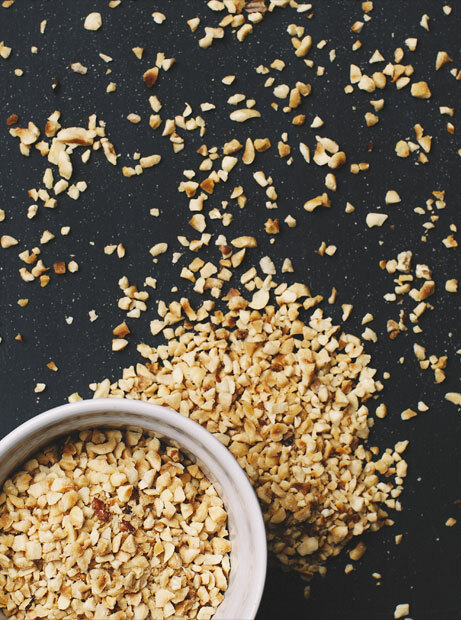 The praline process makes the hazelnut chips delightfully crunchy and they remain so over time if the product is kept in a sealed pack in a cool, dry place. Soft, delicious hazelnut chips of between 3 mm and 9 mm in size with a sugar coating. Extremely tasty, crunchy quartered hazelnuts that undergo intense roasting. Whole superior roasted and peeled hazelnuts of between 13 mm and 15 mm in size.